Last March we followed a handful of outbreaks of a genetically distinct North American (NA) lineage avian H7N9 virus (both LPAI & HPAI) across four southern states; Tennessee, Alabama, Georgia, and Kentucky (see here, here, and here). Despite sharing the same HA/NA appellation as their more famous (and far more dangerous) Chinese counterpart - these North American viruses are considered to currently pose a very low threat to human health. LPAI viruses are commonly found in wild and migratory birds, and often only produce mild symptoms in poultry. The concern is - when LPAI H5 and H7 viruses get into poultry and are not quickly controlled - they have the potential to mutate into highly pathogenic strains. Hence all H5 & H7 outbreaks are reportable to the OIE, and must be quickly eradicated. Over the past few years we've seen an increasing number of spontaneous LPAI-to-HPAI mutations, both in Europe (see here, here, and here) and last year in the H7N8 outbreaks in Indiana (see Genome Announcements: LPAI-to-HPAI Mutation Cited in January's H7N8 Outbreak). While last spring's NA H7N9's impact on poultry was fairly limited - and no humans were infected - it is important to both understand and track these viruses. Influenza A viruses are highly mutable, and about the only thing you can count on is they can change over time. Almost as quickly as they appeared, these North American H7N9 viruses vanished, although there is always the chance that they - or something like them - could return again this winter or next. All of which brings us to a new study, published this week in the CDC's EID Journal, that examines these H7N9 viruses, and how they behave in a mammalian host. To that end researchers inoculated ferrets and BALB/c mice with HPAI and LPAI versions of the virus, and tracked their pathogenicity, viral replication, and transmissibility (in ferrets). While only mildly pathogenic in these lab animals, and limited transmission was observed in only 1 of 3 LPAI (but in none of the HPAI) exposed ferrets - both viruses replicated to a high titer in human bronchial epithelial cell lines - although once again the LPAI version out performed the HPAI version. Reasonably reassuring for now, but results that leave open the possibility that NA lineage H7N9 viruses could acquire genetic changes in the future that might increase their threat to human health. I've only included some excepts, so follow the link to read the study in its entirety. I'll be back with a postscript. Infections with low pathogenicity and highly pathogenic avian influenza A(H7N9) viruses affected poultry in 4 states in the southeastern United States in 2017. 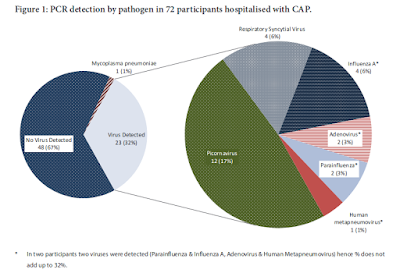 We evaluated pathogenicity and transmission of representative viruses in mouse and ferret models and examined replication kinetics in human respiratory tract cells. These viruses can cause respiratory infections in mammalian models. Influenza A viruses have been associated with sporadic influenza outbreaks in commercial poultry throughout North America, typically due to low pathogenic avian influenza (LPAI) H5 and H7 subtype viruses (1). Recent emergence and spread of highly pathogenic avian influenza (HPAI) H7N3 and H7N8 subtype viruses in North America have underscored the capability of LPAI viruses to mutate into HPAI viruses and cause devastating losses to domestic poultry (2). Spread of avian influenza viruses in waterfowl flyways in North America, especially those which are over areas of dense commercial poultry operations, necessitates constant surveillance and study (3). Because these viruses are reportable to the World Organisation for Animal Health, detection of these subtypes also has a major role in trade of commercial poultry products (4). In March 2017, outbreaks of infection with HPAI H7N9 subytpe virus were reported on 2 commercial broiler breeder farms in Lincoln County, Tennessee, USA. LPAI H7N9 subtype virus was concurrently and subsequently reported in commercial and backyard producer farms in Tennessee, Alabama, Kentucky, and Georgia (5,6). More than 270,000 birds died or were culled; no human cases were reported. Similar to previous epornitics of LPAI H7N9 subtype virus in Kentucky, Minnesota, and Nebraska in recent years, viruses isolated in Tennessee in 2017 were of the North American wild bird lineage and genetically and phenotypically distinct from the Asian lineage of avian influenza A(H7N9) virus circulating in China (6,7). Detection of HPAI and LPAI H7 viruses in the United States represents a threat to commercial poultry activities and avian health. Limited transmission in a direct contact setting of LPAI (but not HPAI) ck/TN virus is similar to virus transmission of LPAI H7N8 and H7N2 subtype viruses (8,10), and suggests that influenza A(H7N9) viruses isolated in the United States in 2017 represent a low threat for human health in their current form. However, the ability of H7 subtype viruses in North America to acquire genetic insertions at the hemagglutinin cleavage site after recombination with host RNA (12,13) and their potential to acquire mutations associated with mammalian adaptation and virulence underscores the need to monitor birds for LPAI H7 viruses. This monitoring is especially needed in and around regions with wild bird flyways and high density of poultry because these viruses can rapidly and sporadically mutate to become HPAI viruses (3). The other big North American avian H7 story last winter was the outbreak of H7N2 among hundreds of cats across several New York City animal shelters and the subsequent infection of one of the veterinarians working there (see Health Dept Statement On A Human H7N2 Infection). Last May, in J. Virology: Virulence Of A Novel H7N2 Virus Isolated From Cats In NYC - Dec 2016, we looked at a a study, conducted by researchers at the CDC's Influenza Division, which examined the virulence and transmissibility of this recent H7N2 outbreak. While they found the H7N2 virus will require additional adaptation before it poses a substantial human health threat, they noted the virus replicated with increased efficiency in human bronchial epithelial cells over previous H7N2 strains tested, and were better adapted to using a lower pH for HA activation, similar to seasonal flu viruses. A reminder that while we watch the Asian lineages of avian H7N9 and HPAI H5 intently, there are plenty of other novel viruses following their own evolutionary path in the wild. Which of these will be the next acquire the right changes to jump to humans is anybody's guess.